There are a myriad number of blow dryers available on the market which may make it difficult to find the right one for your needs. Contrary to popular belief, not all dryers are created equally. Selecting the right hair dryer for your hair type will make a big difference when it comes to drying time and the health of your hair. Things to consider when selecting the best blow dryer include your hair’s texture and length, temperature and speed settings, included accessories and overall value. Any blow dryer will work if you have curly hair as long as you use a diffuser which is a tool that emits light air flow without leaving locks tangled or messy. It also doesn’t take a ton of heat in order to style curly hair as long as you aren’t straightening it. However, if you want to straighten curly hair or have very long and thick hair you’ll need a dryer with powerful motor with at least 1800 watts. Ionic dryers are immensely popular at the moment but they aren’t right for every hair type. For example, an ionic dryer is great for those who want to smooth their locks but it will weigh down fine and thin hair. If you have fine hair you’ll want a dryer with the ability to turn the ion setting off which will give your hair more body and texture. 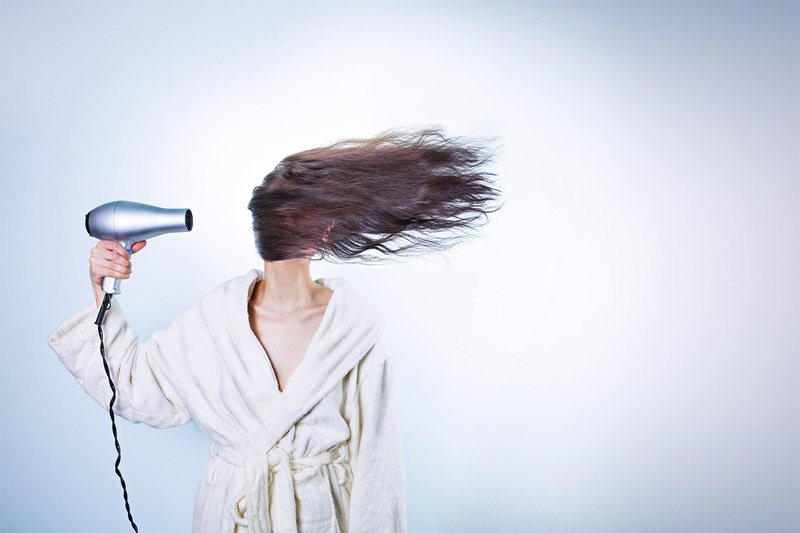 On the other hand, if you have frizzy or coarse hair you may want an ionic or tourmaline dryer in order to help manage your hair and smooth it out. Consider the temperature and speed settings available. A wide number of temperature settings will allow the entire family to use the dryer since it will be suitable for numerous hair types. You’ll also want a cool shot button feature which emits a burst of cold air in order to lock in your style. Consider cord length; a longer cord will give you more freedom to move around as you’re styling your hair. Accessories are also important; many blow dryer come with accessories including diffusers and concentrators. A concentrator concentrates air flow which results in smoother locks; professional stylists generally use concentrator when blow drying hair. Another factor to consider is the weight of the dryer. Dryers can range from light weight to very heavy. If you’re a professional stylist you may prefer a light weight dryer since may be drying the hair of numerous clients throughout the day. A light weight dryer is more ergonomic and less straining on the wrists. Hair dryers range from affordable to high end. The babyliss pro blow dryer is popular with many professional stylists because it offers a large number of heat and speed settings and a long-life motor which lasts for many years. If you are looking for something more affordable consider brands like Conair and Revlon which incorporate ionic and tourmaline technology despite the lower price point. If you really want to splurge consider the T3 hair dryer which claims to leave hair even healthier compared to air drying.